I really like pasta. No wait, let me rephrase it: I LOVE pasta. “No surprise” – I have been told several times – “you are Italian!”. No matter the reason why, pasta is one of those dishes I cannot really live without. And during all my travels, and even more since I move to London, I have been trying lots of different version of pasta cooked by friends or at some restaurants. As you can image, several times I finished the pasta I have been served more for hunger or politeness than for the pleasure of doing it. Too salty, not enough salt, too creamy, insipid, too sweet, and most of all: way OVERCOOKED! I don’t know why, but I had to give up to the “unexplainable” evidence that, even if pasta is a very easy dish to prepare, non-Italians usually have no clue about how to cook it, or at least they don’t manage to cook it properly. As few friends and coworkers have been asking me:“ how should I cook pasta? Do you add salt to the water? How long do you cook it for?”, I have decided to sit down and write the tips I have involuntary learned since I was a kid, simply watching my grandma and mom cooking pasta. 2) Boiling water. Again, to some of you it may sound irrelevant, though it is not. A friend from Germany invited me for dinner and cooked pasta in my honour: as soon as I arrived, he greeted me, filled the cooking pan with cold tap water, added the pasta and placed it on the hob. NO, please guys, don’t do that. Pasta will not cook not homogeneously and become soggy if you add the pasta when water is not fully boiling. 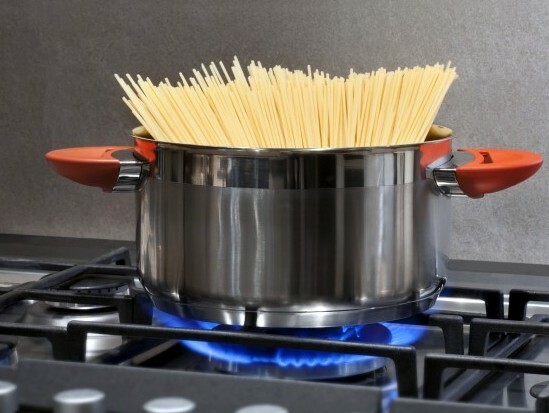 You should wait for the water to properly boil: once you see large bubbles forming, first low the fire and pour the pasta (it will avoid water forming all of a sudden more bubbles when you add pasta with the risk of spilling hot water all over the place), then raise the flame until it fully boils again. then place the lid back on the pot: it will contribute to bring the water back to a boiling. If it takes too long to boil, the pasta will get mushy. 2A) – an additional note: Don’t break it!!! Please, do not break spaghetti or any other pasta. I saw people crushing spaghetti before putting them in the water. Seriously, it’s as bad and painful for an italian to see that as it is to see someone getting his fingers broken. It’s just wrong! 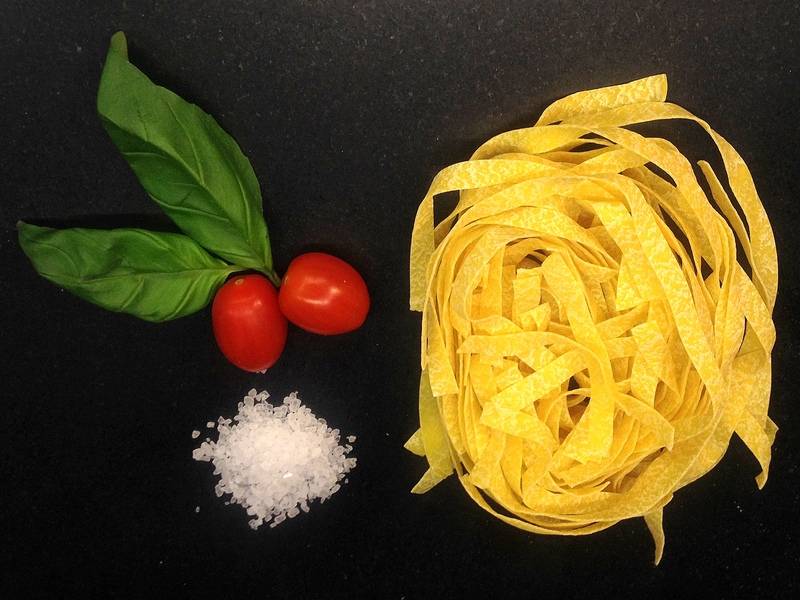 If the pasta is made with a shape, a length, a diameter…there is a reason for that! Long spaghetti better embrace creamy sauces and gets more easily rolled around the fork. Don’t be a barbarian: keep the shape of the pasta you buy. Please…. AND If your excuse to break spaghetti is cause they are too long to fit in your pot, let me ask you something: if your dog doesn’t fit in his dog-basket, would you chop him to better arrange him in it?! NO!! you buy a LARGER dog-basket. Same for the pan you use for the pasta: you need a larger soup pot. Also, spaghetti can stick out at the beginning when you put them into the water; after few seconds they will become softer where soaked and the rest of them will slip in the pot. 3) Enough salt. For some reasons, Italy is one of the countries with the lowest blood pressure in Europe: however people from other countries freak out when they see Italians seasoning the water for pasta with that amount of salt. I have good news for you: you will not eat the whole handful of rock salt you put in the water. It will dissolve in the water and only a tiny bit of it will get into the pasta. This is so true that if you taste the drained water after the pasta is cooked, the water is salty. Now the point is: how much salt should I use? The answer is….taste the water and decide! Usually I start with half handful of rock salt for 3-4 liters of water. I wait for it to dissolve while water heats up and then I taste the water with a spoon. The water has to be as salted as you would like the pasta to be salted. If the water is too salted, pasta will be the same. Also, the theory: “I don’t put much salt in the pasta as the sauce will be very salted” doesn’t work. It would be like saying: “I don’t put sugar in my cake as I will put twice the amount of sugar in the icing”. 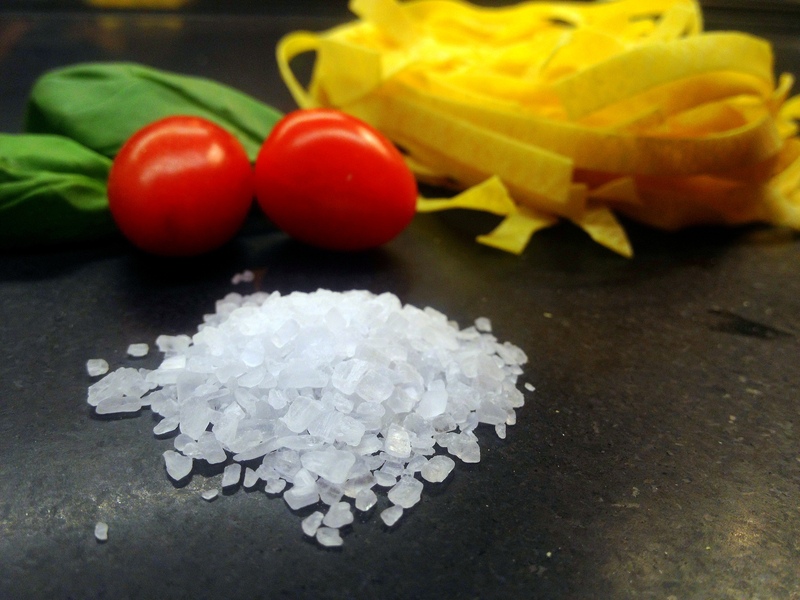 You want your dish to be balanced, so both pasta and sauce should be equally, nicely salted. 4) Stir it while it boils. Stirring the pasta while it cooks, especially during the first two minutes, will avoid pasta strands to stick to each other. The more the water, the less stirring will be needed as each strand of pasta will overturn by itself just following the convection flow of the boiling water. 5) Al dente. Cooking pasta is not as scientific as cooking a Victoria Sponge. The number of cooking minutes on the package is only a SUGGESTION. For this reason, it is very important you start sampling and tasting pasta from 1-2 minutes before the time written on the package. The package says 11 minutes? When it’s 10 minutes, pick one strand of pasta and eat it and feel if it’s cooked. If not cooked enough, you will also see, when you bite a strand of pasta and look at the section you have just bitten, a thin, white, raw layer of uncooked pasta. Remember: from the moment you decide the pasta is cooked, to the moment you serve it, the pasta will keep cooking as boiling hot! So drain the pasta just few seconds before you think it’s cooked and it will be perfect once it’s served. 6) Save a cup of water. Just before draining the pasta, save some of the water in a cup. The water will be cloudy, full of starch, and you may need it to make the sauce a bit creamier once you add the pasta. 7) No rinsing. Never rinse the pasta as this would wash away the starch (essential to make your pasta more creamy) and it would seal the pasta and won’t allow the sauce to be absorbed. Plus it would wash away most of the salt. You can rinse the pasta if you want to prepare pasta salad, but that’s the only exception. 8) “Mantecare!”. 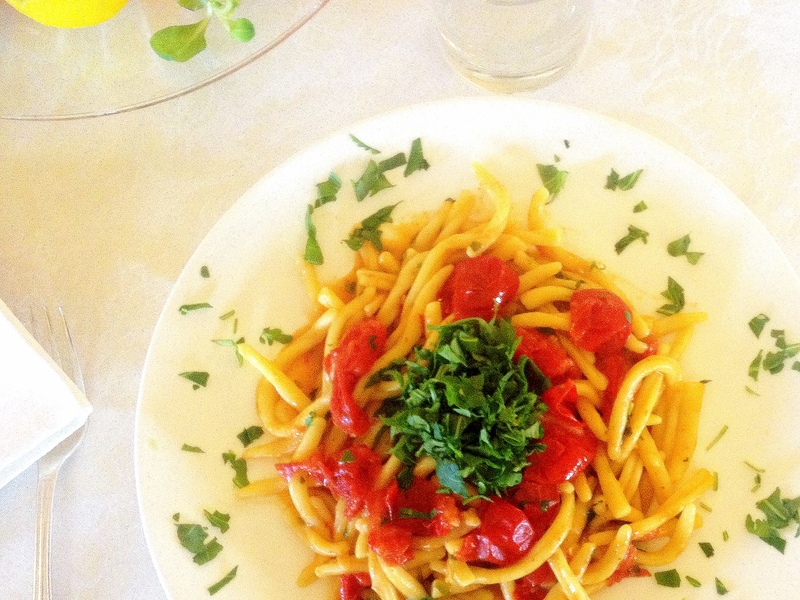 Some pasta needs to be…”mantecata” we say in Italy. Oxford dictionary translates: “to cook until creamy”. Just before draining the pasta, turn on the flame of the saucepan where the sauce is. You want your sauce to be nicely hot when you pour the pasta in it. Then drain the pasta (though not too much, leave a bit of water!) and pour in the saucepan the pasta and the bit of water still not drained. Toss for at least 1-2 minues. This process works for several types of pasta dishes and this is what makes the sauce more creamy and the overall dish more amalgamated. The “cooking” water is rich in starch: the starch will bond with the sauce, the water will evaporate while you stir, and the result will be a wonderful creamy pasta. 10) Serve it. Once it has rested for 2 minutes, open the lid, gently stir once the pasta to amalgamate the sauce that may have drained to the bottom, avoiding to break it now that is cooked. And serve it. In most sauces I add a teaspoon of extra virgin olive oil on top of each dish to enhance the flavours and make the dish richer. Parmisan or pecorino cheese may be added on top of the dish once served, but as their flavours are very different, they need to be matched with the type of sauce you are serving. And now your pasta should be ready: well-seasoned, perfectly cooked al dente, amalgamated with its sauce. A triumph of flavours and fragrances. The more you try to follow these steps the more they will become automatic and natural to you and you will master the art of cooking pasta in a short time! Next step after that? Making your own fresh pasta…but that’s another story! PS. : Somehow I can’t comment with my wordpress/gravatar account. I’m asked to type in my password to confirm,and when I type it in, it says it’s wrong..